Your website is the gateway to millions of potential customers. Taking control of the traffic that moves in and out of your home page is up to you. There are strategies to drive traffic to your brand, but it takes some effort. 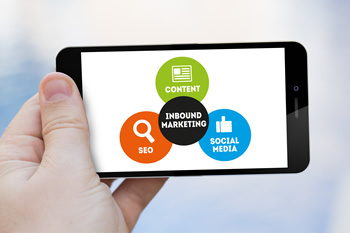 Learn how website design and marketing campaigns drive your inbound marketing for your success. Many people are visual learners so why not put visuals on your website? Writing lengthy blocks of text may define who you are and what you do but will the viewer read it? It may just drive people away from your website because it’s not captivating. Create an infographic and put it on the home page of your website. It should describe your products or services and give the viewer immediate vital information. Tag the infographic with keywords the user would search so your website will be found. Brand it with your company colors and logo so it makes a lasting impression. These subtle details drive traffic to your site and build a loyal following. With a well-designed infographic, people refer to it and possibly share the information with friends. Becoming a viral sensation is a goal for many companies. Simply focus on a clear and concise image that offers real value to the average reader. Your site grabs the audience’s attention and keeps that attention when you create a helpful tool. 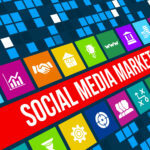 Online marketing isn’t complete without social media accounts. Ideally, run several accounts across the most popular platforms that match your business model and goals. Don’t just post random information. Make the content valuable to the reader. Create conversations with your audience through quizzes, fun trivia, and mystery giveaways. The public holds social media conversations in high regards. As a business, you can drive that conversation with rapid responses to any questions or comments. When you’re perceived as a trusted entity in the virtual world, you make a customer for life. Maintain your professionalism throughout these conversations. Be sure to link the accounts to your website so that you’re ultimately driving traffic to the perfect destination. Sharing your content with other sites is part of bridge building within the online world. You can also try guest blogging, which creates unique content with a link to your site. Be careful about sharing too much information across various channels, however. Duplicate content across the Web is negatively reflected in the search engine results. You need unique content and you need to post frequently. Ideally, share your content once or twice so that you create positive associations between various websites. Static website design tactics only work for a short time period. Customers who follow your website are looking for new, fresh information and so are the search engines. On a frequent basis, update the “Calls to Action” on your homepage. These are the buttons viewers will click on to see what you are offering. If you have upcoming events, be sure to post those on the home page above the fold so the user will immediately see the information. You serve a certain demographic so keep their needs in mind. Use your brand colors to stand out in the crowd. Make minor alterations to the text having the same meaning, but in a different voice. Every alteration tells the search engines that you’re focusing on your customer and keeping them informed. As a result, your rankings will increase in the search engines. Make it a goal to alter the content several times a year. Driving your inbound marketing also requires extensive knowledge of your website’s analytics. The stored information is available for you to review at any times. Get to know this data and create reports that are specific to your business model. 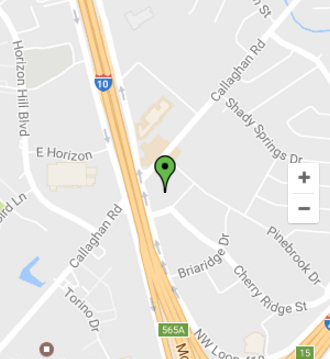 Monitor the reports and find out where traffic is coming from. Determine what path the user takes and find out where they drop off. This research can guide you to update pages that may not provide the experience the user is looking for. You can then make modifications to those pages to change the information and test those changes. Make sure your analytics are connected to your webmaster search. 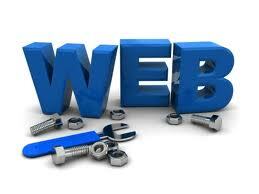 The webmaster tool will tell you if you need to adjust web pages based on the crawls that are done on the internet. This is valuable information that you should act on. Pages that can’t be crawled due to blocking or a missing sitemap could potentially penalize your website and will reduce your ranking if the issues don’t get corrected. Consider a partnership with an SEO professional, such as Incite Digital Marketing. This San Antonio based firm dedicates their efforts to your successes. Website design is always evolving. It helps to have inbound marketing pros on your side that know what to look for and continuously monitor your progress and make recommendations when it’s time to change things up. Website Design: Are You Ready for an Update?